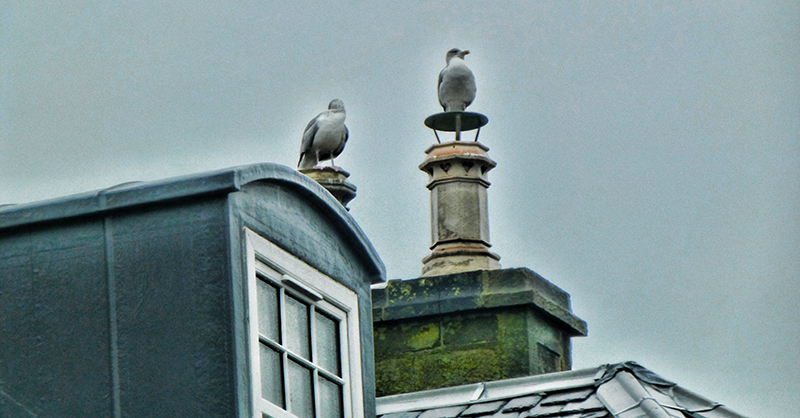 Fat gulls enjoy singularly these little perches in the chimney pots. 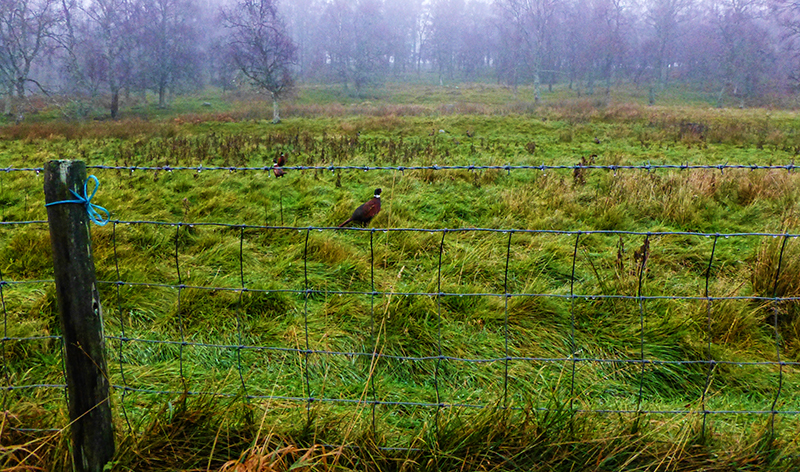 Roadside fields are heavily populated with pheasant feeding. This one was awarded a blue ribbon? These are cormorants drying themselves on the beach where the Lossie River meets the North Sea in Moray, Scotland. They have been enjoying a Sunday morning fishing expedition.